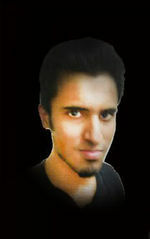 I am Muhammad Ali Khalid and I live in Lahore, Pakistan. I am always full of beans and I love hanging out with my friends. I am an avid tennis player, a bad cook, a horrible driver and sometimes a little bit too sensitive. I currently study at University of Central Punjab pursuing BBA in accounting and finance. I have been here on icannwiki.com since september 2010 and have contributed to the following articles. This page was last edited on 7 March 2013, at 22:12.